There is no shortage of spells out there. Some books highlight thousands of spells, but do any of them actually work? And how well do they work? I don�t mean just getting a result�I mean getting a result that matters, a result that will impact your life or the lives of those you work for. The Elements of Spellcrafting provides the most effective and efficient ways to get things done with magic. Principals and strategies for how best to apply magic before you begin. Methods and tactics that will ensure a positive outcome. How to take spells to the next level�building a life of spiritual accomplishment and material success beyond the basics. If you have ever cast a spell that didn�t work, The Elements of Spellcrafting will help you figure out why. 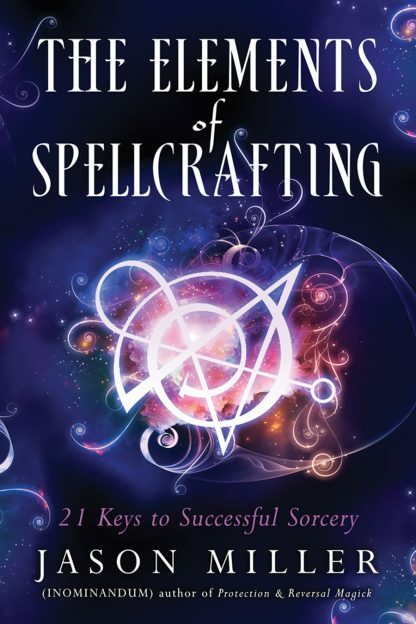 If you regularly cast spells that seem to work but you still wind up in the same circumstances, this book will definitely help you chart a new course for victorious spellcrafting.